This is an original 1927 edition, Edwards & Broughton Company. Wear on cover. Inside pages are clean. End pages (non text) have some age spotting. 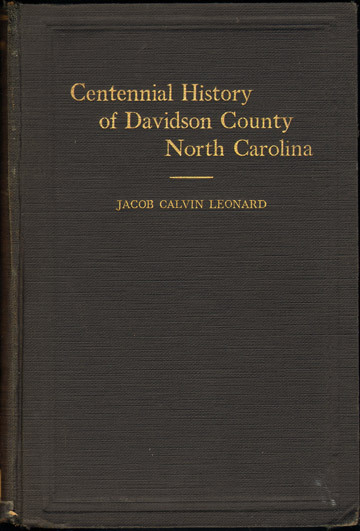 Traces the history of Davidson County, North Carolina beginning in 1822 and continuing until the 1920's. Many individuals and families are mentioned by name. Also includes a very lengthy list of Civil War soldiers from Davidson County. Does not include any biographies. Includes history of Lexington, Thomasville, schools, churches, businesses, Daniel Boone and more.